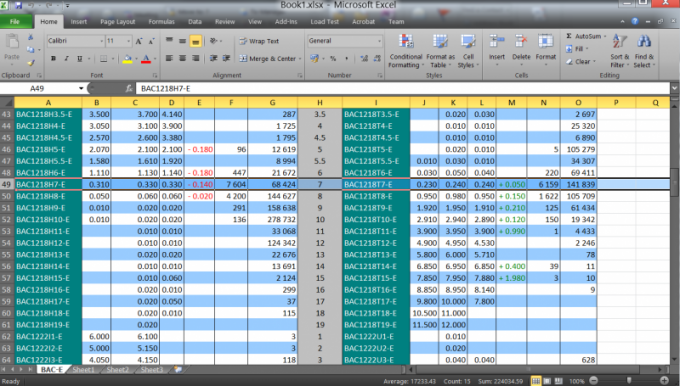 Ms Excel is a powerful spreadsheet editor. It allows you to work with bulk data types, namely sort them by the given sign, ask the necessary formulas and much more. One of the important and necessary functions of Ms Excel program is automatic sorting by a given parameter. This function allows to systematize the data in the table Ms Excel. It is possible to sort different types of data: text, such as names and numeric, such as date. There are at least two types of sorting. To arrange the names alphabetically, you need to choose sorting by one characteristic. It is worth saying that the names in Ms Excel you can organize in ascending order, i.e. from "A" to "z" or descending order. This so-called simple sorting. In this type of sort is enough to select the column which contains the names, order. Then in control panel of Ms Excel at the top right, find the option "Sort & filter". Click on it with the left mouse button, you will open a window where you can choose the sort from the first letter of the alphabet to the last, in reverse order, or to determine the required parameter. A simple sort will fit in the case if Microsoft Excel is only one column with the names. If your document contains many columns, the Ms Excel program may request clarification or not to expand the scope of the formatting. In this connection, will display a dialog box. You can select the extension range or order in accordance with the allocated value. If you select automatic extension, the formatting of the cell associated with the column formatting will remain tied to it. In another case, sorting will not affect them. At this point, you should be careful because the data in the document when properly selected sorting risk to mix. The user can also use another way to sort the names alphabetically by selecting the custom range. In this case, you will need to specify the column that will sort the data. The actions of the user of the program Ms Excel will be the same, only you should choose in the "Sort and filter" option to "Custom sort". Then, the user selects the column that must be ordered data. In this case, the column with the names. The next step is to select sort alphabetically from the first letter to the last or Vice versa. Such a sort is called a complex. Remember that in Excel you can sort any column, regardless of its location on the sheet. What version of Ms Excel installed, the settings for automatic sorting may vary, the essence of the work remains unchanged.